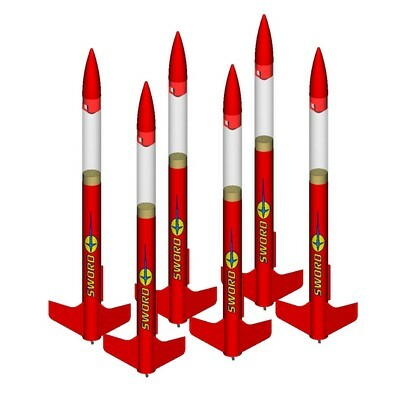 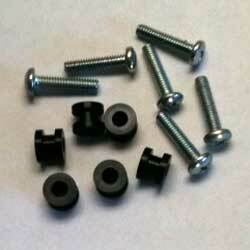 ModelRockets.us Sword Bulk Pack of 6 Rocket Kits - Futuristic easy to build payload rocket. 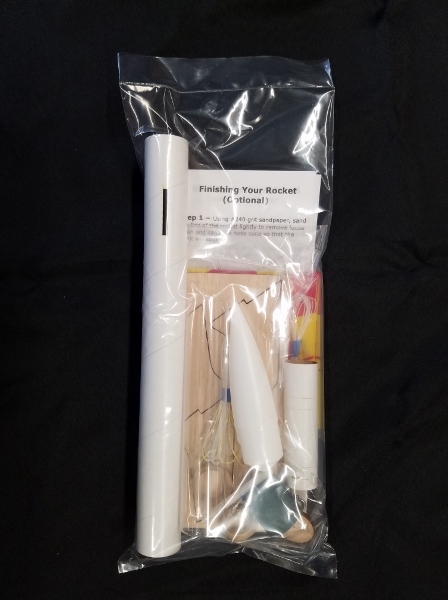 Featuring a precision laser slotted body tube and precision laser cut balsa fins with thru-the wall tabs for easy fin location and assembly strength. 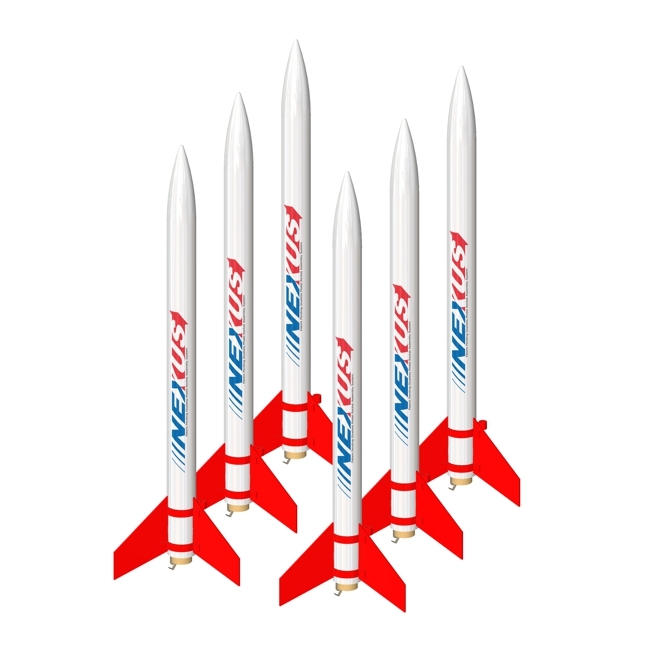 Includes self-adhesive decals and a bright parachute for soft, gentle landings. 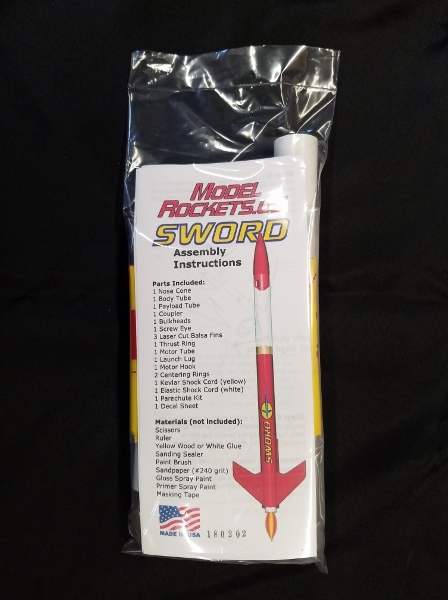 The Sword is a larger Level 1 kit with an engine mount to assemble which is ideally suited for educational and group projects.